The maximum outfit changes one woman goes through on an average day is probably 3: we wake up in our pajamas, we get dressed for work, and when we get back, we slip into something more comfortable. OK, four, if we go out that same night or if we hit the gym after work. But, Blake Lively looks like she does not believe that the normal day exists, because on April 21st 2015, she wore 10 DIFFERENT outfits in one day! And this got me thinking: what perfume choice did blend in so well with this one day style versatility? 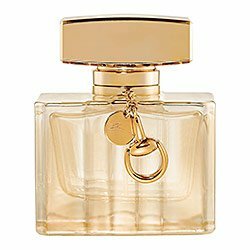 Because Blake Lively favorite perfume is obvious: Premiere by Gucci! It is one of the most versatile perfumes on the market: it is elegant, soft, inoffensive, personal and sophisticated. Plus, she is the face of the perfume, so it makes a perfect sense! The perfume just screams natural glamour, but it is also does quite the extraordinary. It is fresh and musky, and understated all at the same time. It may not be an iconic fragrance or unique; however, it is one of the lightest perfumes I have ever tried. It’s quite heavy on the citrus notes, but it is not bitter, due to the mix with the berry notes. The result: an elegant and sophisticated olfactory prelude to an enchanting blend of white flowers and musk, which ends with soft woody notes and patchouli. It is a perfume that turns heads, but in a rather discreet way. And this is the perfume that blends in with every outfit you choose. It stays close to the skin, yet its sillage is moderate enough to fill the room when words are safely locked in our minds and throats.